CEDAR CITY — The three suspects allegedly involved in an October homicide attended separate review hearings Tuesday at the 5th District Court in Cedar City. Angelo Seth Carrasco, Clarissa Bulletts and Eric Rodriguez each appeared before 5th District Judge Keith Barnes for separate review hearings in connection with the October shooting of 45-year-old Shawn Multine. During the course of these reviews, it was determined that preliminary hearings would be scheduled for both Rodriguez and Bulletts. Jeffery Slack and James Park, the appointed council, respectively, for Rodriguez and Bulletts, requested that the two defendants be given separate preliminary hearings from one another. Barnes agreed and ordered the two hearings to be scheduled to take place on separate dates after Jan. 26. In Carrasco’s review hearing, his appointed council, Richard Mauro, said he had found a second attorney, Scott Williams, to assist him in the ongoing case. Mauro also said he had not yet been provided with all requested materials and was in the process of obtaining them. These items included photographs, cellphones, and video and audio interviews. On the night of Oct. 21, members of the Cedar City Police Department responded to a suspected homicide at a home located on the 100 East block of 575 North in Cedar City. Once on scene, officers found Shawn Multine dead from an apparent gunshot wound. Multiple eyewitnesses to the event identified Carrasco as the man who fatally shot Multine. 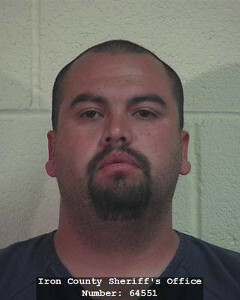 Carrasco was later located and arrested at the KB Express gas station at 734 S. Main St. in Cedar City. 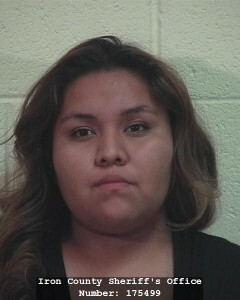 While in police custody, Carrasco allegedly admitted to shooting Multine. According to a probable cause statement supporting his arrest, Carrasco has also stated multiple times that he would kill all witnesses and victims in the case if he were to be released from jail. On Oct. 31, police also arrested Rodriguez, 29, and Bulletts, 18, after determining the two had played a role in the homicide. 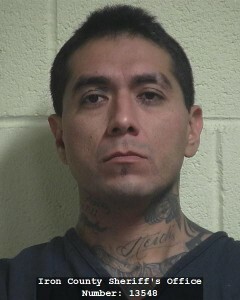 According to a press release from the Cedar City Police Department, Bulletts allegedly drove Carrasco and Rodriguez to the neighborhood where the shooting took place and then assisted in helping them flee from the area afterward. Bulletts is the stepdaughter of the shooting victim, Multine, and has also been identified by police as being a former girlfriend of alleged shooter Carrasco, according to the press release. At the conclusion of Tuesday’s hearing, Barnes set another review hearing to take place for Carrasco on Jan. 27 at 9 a.m. Bail for all three defendants remains at the previously set values: Carrasco’s stands at $1 million, cash only; Rodriguez’s stands at $250,000, cash only; and Bulletts’ stands at $250,000, cash only.